The Saville Life: Baby Saville #1. Week 15 update. Sleep: Sleep was wonky this week because I wasn't at my own house or in my own bed! Best moment this week: Not a baby moment at all-but my sweet sister and team place 2nd in the region in the 4 by 800 and she placed 3rd in the 2 mile. All-region 8th grader. I am just so proud of her! Anything making you queasy or sick: Even though I'm well out of the 1st trimester, smells are still gross. Gender: should know next week! 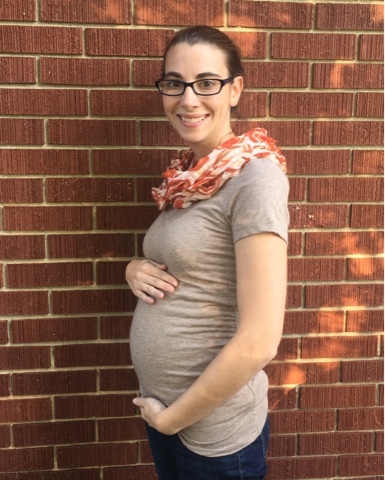 Major Happenings: baby is moving a ton! Hopefully we'll feel some movement soon! Also, all of baby's joints are working and moving. So insanely cool that this 4-6 inch child can move and has working insides! What's Been Going On: Feelings-wise, the hormones have been crazy! Life-wise: oh my heavens--upside down! My parents were out of town unexpectedly and we spent a few nights with my sisters. Instant parents of teenagers is hard! With track region, a meal at church, and testing at school, it was quite a week and my blogging game is off! Looking Forward To: By next week, we should know the gender!!!!!! Also, we have track state qualifiers this weekend. Big things coming up!